Posted on 1st August 2018 at 2:58 pm. The Early Years Business Zone (EYBZ) has proved very popular with settings as it provides free access to a range of business tools and related information. 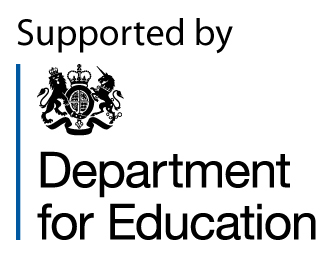 The EYBZ and toolkit are delivered by the NDNA and supported by the DfE, to provide settings with more details that will help improve the business planning and decision process. The tools are being used by new and well established settings. There has been some very positive feedback from experienced managers about the toolkit. This has included comments about the range of tools being a great way for individuals new to the sector, or new to management, to develop their skills and help build a sustainable childcare business. Based on that feedback the EYBZ team are holding a ‘Taster Week’ starting on Monday 6th August. This includes scheduling some extra 1-2-1 confidential phone calls with EYBZ trainer, Lorraine Walker. Lorraine has 28 years of experience in the sector and was involved in the toolkit pilot project. She uses the calls to share knowledge, answer queries and explain how the EYBZ website and toolkit can provide management information to help improve business planning. So, if you’re new to EYBZ toolkit, new to the sector or looking to develop your business skills, take advantage of this chance to book a free call with Lorraine. Details are on the EYBZ website, where you can also download the tools and gain access to a wide range of free business templates and other documents. There are just ten free sessions (1-2-1 calls) available on the ‘Taster Week’ so we recommend booking your place as soon as possible. The dates and times are on the website and just follow the instructions to reserve a place by email or phone.